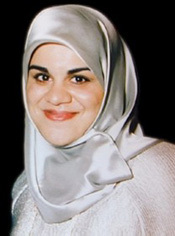 Zainab Al-Suwaij is the founder and Executive Director of the American Islamic Congress. She was one of the few women to join the failed 1991 intifada uprising against Saddam Hussein, and now lives in the United States and promotes inter-faith understanding and women’s equality. She joins us in studio to discuss her work and her perspective on the ongoing conflict in Iraq.